Panoramic photo of the Gym in the Centre of Culaba Town, Biliran Province. 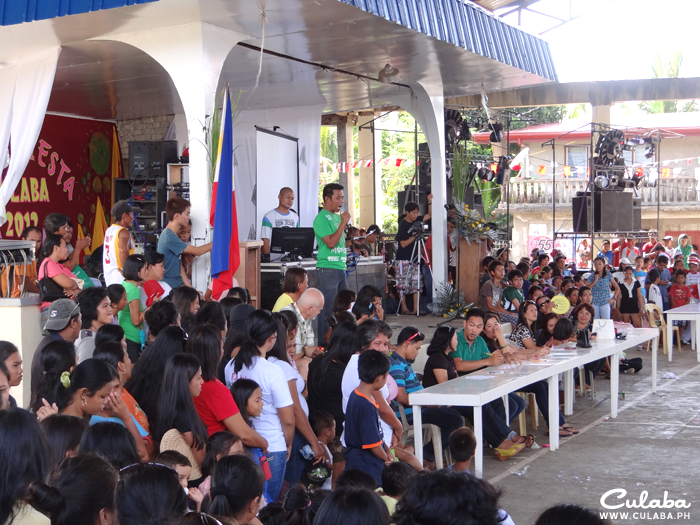 Crowd of people in the Culaba Gym watching the local School bands at the towns Fiesta in May. 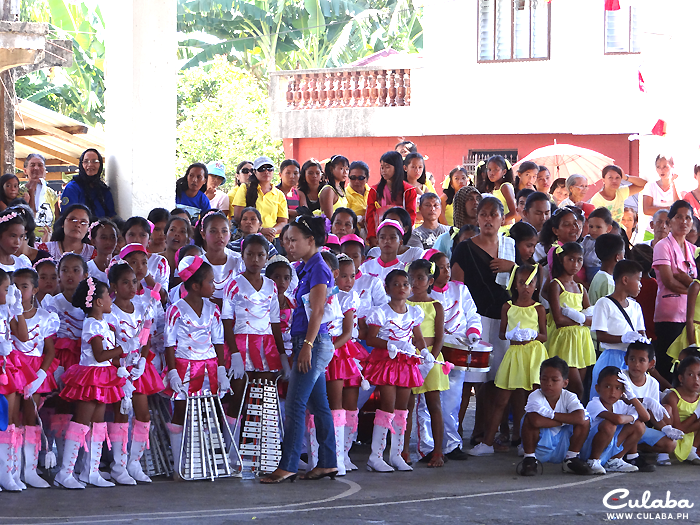 School children ready to perform as part of the Culaba Fiesta. View of inside the Culaba Gym during the Towns Fiesta in May. Judging the School Marching Band competition at the Fiesta.